A sunny day in Fairmount. 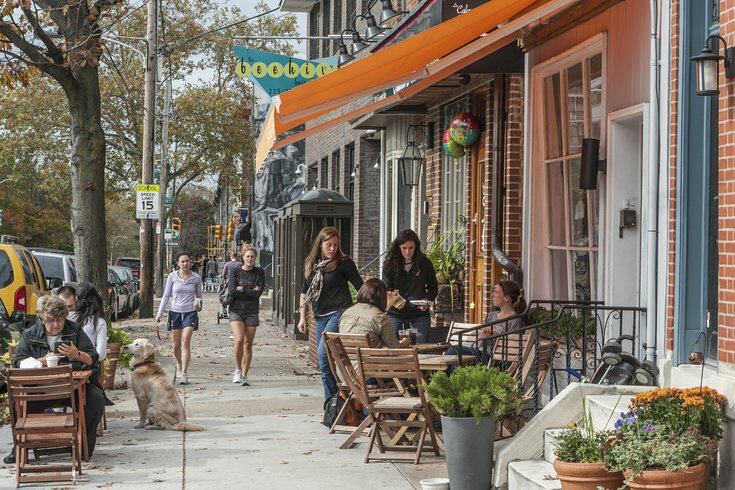 The Fairmount Avenue Arts Crawl will take place on Saturday, April 28. Neighborhood restaurants, bars, shops and businesses will turn into galleries showcasing local emerging artists. Check out paintings, prints, photography, sculptures and mixed-media at popular Fairmount spots like Eastern State Penitentiary, OCF Coffee House and The Bishop's Collar. Attendees can also shop one-of-a-kind artwork and handmade items. Vendors will be set up on the sidewalk outside the penitentiary selling jewelry, prints, soaps and more. In addition, there will be live performances during the day. Enjoy a poetry reading. Attend a pottery-making demonstration. Watch a tap dance performance. The Fairmount Avenue Arts Crawl will take place noon to 4 p.m. The rain date is Sunday, April 29.